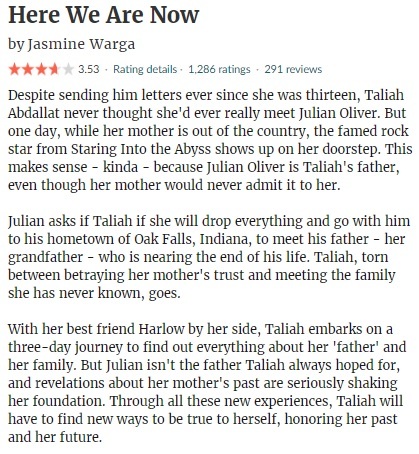 This entry was posted in 3 Star Rating, 5 Star Rating, Book Reviews, Yvo's Shorties and tagged 3 star rating, 5 star rating, animals, book review, cancer, cats, contemporary, death, family, fiction, foreign cultures, here we are now, hiro arikawa, illness, japan, jasmine warga, lgbt, music, published in 2012, published in 2017, realistic fiction, the travelling cat chronicles, translation, young adult, Yvo's Shorties by Yvo. Bookmark the permalink. A cat narrator? Awesome 😀 Cats don’t like me, but I love the idea! Great reviews! 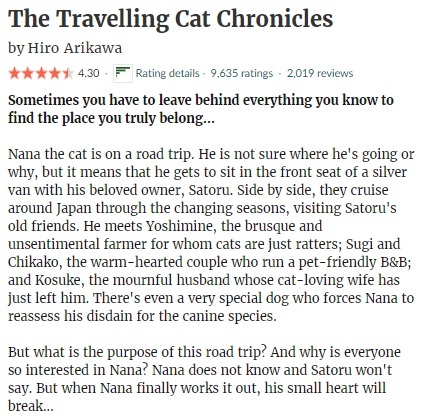 I’m completely sold on The Traveling Cat Chronicles! It’s such a wonderful story!